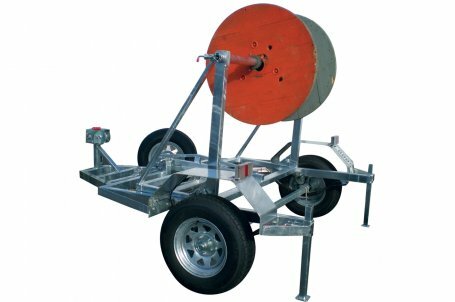 Our cable drum trailer is ideal for loading a drum of cable from your supply or yard, driving the drum to site and having it ready for use as soon as it arrives onsite. The trailer is rated to lift a drum up to 1T Drum and it will accept a drum with the dimension of up to 1600mm dia and 1500mm wide. See the attached data sheet for more information and photos of the unit.